Price served as a representative from Georgia’s 6th congressional district. A six-term member, he was elected chair of the House Budget Committee in 2015. Before joining the House, he was a Georgia state senator, serving as the state’s first Republican Senate Majority Leader. Before becoming a politician, Price was an orthopedic surgeon. He taught at Emory University’s School of Medicine and headed the Orthopedic Clinic at Grady Memorial Hospital in downtown Atlanta. He will be the first doctor to steer HSS since Louis Sullivan, who was the head from 1989 to 1993. Price endorsed Trump towards the end of the Republican primary in May. He was one of the first House committee chairs to throw his support behind the presidential candidate. Price is staunchly anti-Obamacare and has proposed legislation to replace the Affordable Care Act in every Congress since 2009. His comprehensive plan, dubbed the Empowering Patients First Act, would deconstruct Obamacare and replace it with a market-based alternative. Many of its ideas are included in the “Better Way” plan issued by House Republicans earlier this year. Price’s opinions on other issues align with traditional Tea Party stances: he is pro-life and anti-LGBT. His plan to repeal the Affordable Care Act would take away no-copay birth control from millions of women and remove the nondiscrimination protections it currently offers to LGBT people. 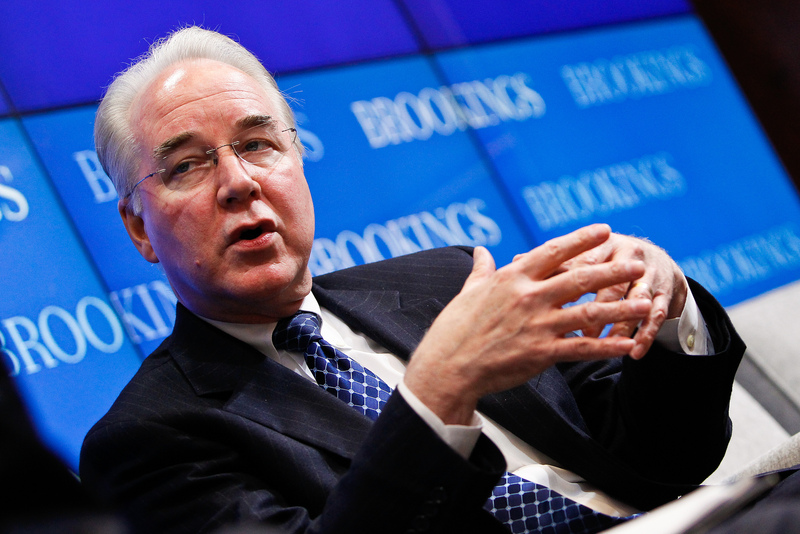 Price has previously said that engaging in LGBT activity could lead to “real” health issues. A native of Michigan, Price graduated from the University of Michigan with Bachelor and Doctor of Medicine degrees. He completed his Orthopedic residency at Emory University. Price is married to Elizabeth, and the couple has one son. Updated: Feb. 10, 12:30 p.m.
46 min 25 sec ago.